Support Clydeside IWW member in court for Glasgow Pride protest! Following the arrests of five protesters at this year's Glasgow Pride, one of the arrested, a member of the Clydeside IWW branch, is facing trial on the 7th of December. Clydeside IWW have organised a solidarity protest and published a call for solidarity, reproduced here. Clydeside Industrial Workers of the World call on all political organisations, groups and individuals sharing an emancipatory, anti-capitalist vision to support and attend the demonstration outside Glasgow Sherriff Courts on the 7th of December 2017, in solidarity with the IWW member arrested with the Red and Black bloc in August’s Glasgow Pride. Panos Theodoropoulos of the IWW was arrested while supporting a 16-year-old being harassed and threatened with arrest by the police. The police used extensive physical force on Fellow Worker Panos, tackled him to the ground, and subsequently held him for more than 30 hours in custody. It should be noted that the IWW- organised Red and Black bloc was resolutely non-violent and did not seek any type of confrontation before or after these events. In the same Pride march the police arrested 3 trans activists protesting Pride’s decision to have police lead. The charges include ‘attempt to rescue’ and ‘resistance to arrest’, with an officer further claiming that they were injured (presumably during their violent and unprovoked attempts to wrestle Panos to the ground). In the following weeks, the police dropped all charges on the 16-year-old, proving that they were wrong in harassing and arresting them in the first place and rendering even more absurd their decision to press on with Panos’s charges. The relevant statement issued immediately after Panos’s release from custody is available below. In the meantime, the other 3 trans arrestees have not been issued court dates as the police continue to search for evidence that has eluded them for three months. This is clearly an issue which the police are unprepared to drop, with the dual purpose of: 1) criminalising and thereby attempting to diffuse the re-energised wave of political organisation and protest that Glasgow is experiencing in recent months and, 2) attempting to save face and looks less ridiculous after their actions in Pride were criticized from all angles. For both of these reasons, demonstrations of solidarity to the arrested and accused are of deep political importance, their implications extending beyond the personal situations of those involved. To begin with, the police’s actions provoked a significant backlash that ran counter to a carefully crafted public relations campaign. Their very presence in the Pride march, which the 3 trans activists protested, was part of that campaign. After the backlash they were forced into issuing a statement which, despite its conciliatory tone, offered nothing concrete to those affected by their activity (available below). A fundamental aspect of all emancipatory struggles is concerned with uncovering the masks and illusions which the system uses to maintain its legitimacy. The institution of the police plays a crucial part in this narrative, and thus the opportunity for further fracturing their attempts to present a humane, supportive face must be seized upon to the fullest. We need to keep up the pressure. From a movement and organisational perspective, Red and Black bloc was organised by queer members of the IWW as an anti-capitalist, anti-fascist presence in an increasingly commercialised and depoliticized Pride. In an era of deepening wealth inequality and the rise of the far-right across the West, the bloc’s was an important political statement that aimed to unite, in practice, a variety of seemingly disparate struggles under the banner of solidarity. It occurred in a time when autonomous radical movements in Glasgow are on the rise, a variety of which are represented in IWW membership. Despite significant differences that exist between groups, it should not be forgotten that the current situation presents a significant improvement to where the movement was at a year ago. Events have made clear that when such progress is achieved, the police and the State will retaliate by criminalising protesters. They hope that their actions will succeed in breaking our resolve, in literally terrorising us into silence. On the contrary, the facts show that their actions are fuelling our activity. Indicatively, the Pride arrests sparked the creation of a new radical group, Anti-Capitalist Queers (links available below). This is a positive momentum which needs to be nurtured, built upon, and extended. The State’s enmity towards us is a confirmation that we are moving in the right direction. As the struggle deepens and the movement develops, it is reasonable to expect that the police will employ increasingly heavy-handed tactics on protesters and activists. They will attempt to silence us, divide us, and disempower us. It is therefore imperative to make court solidarity a lasting habit, to institutionalise it to the point that: 1) the activists involved in the movement know that they will never be left alone, a knowledge which will further empower and embolden our struggles and, 2) the police know that when they target one of us, they will be faced with an entire movement. Court solidarity, part of a wider mentality of support to whoever is caught in the cages of the State, is an indispensable aspect of all radical political activity. Let it be shown that the movement refuses to accept the criminalisation of protesters, whether now or in the future. Let us lay the foundations, in our budding movements, for lasting, practical political solidarity. 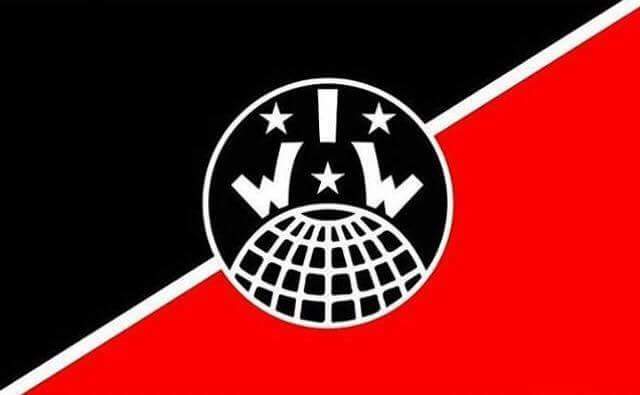 As the IWW slogan goes, ‘an injury to one is an injury to us all’. Join us at the solidarity demonstration on the 7th of December 2017 outside Glasgow Sheriff Court! The exact time will be made available shortly.